One of the newer traditions sweeping the country each autumn is the long-awaited release of the pumpkin latte. The nation’s top coffee shop chains have all taken note of the huge popularity of the fall-themed beverage, so you don’t have to travel far to grab the beloved coffee. A unique twist on the classic latte (espresso and steamed milk), there are many ways to create a pumpkin space latte, typically using a combination of pumpkin and cinnamon flavors. 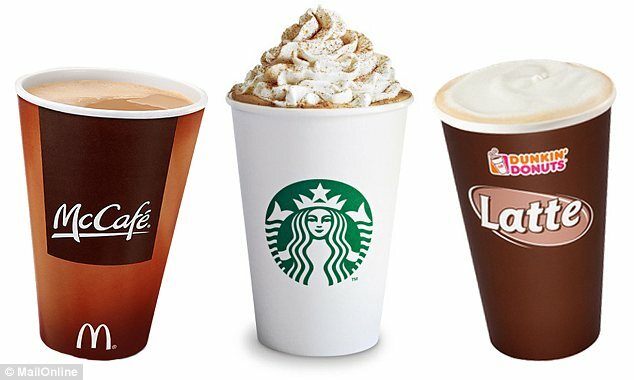 However, as more companies look to create their own pumpkin latte drinks, it offers more choices for us customers. Of course, not every pumpkin spice latte is guaranteed to satisfy, as there can be some notable differences between each type out there. If you are looking to try a pumpkin latte for the first time, Dunkin Donuts offering is well worth checking out. The main reason for this is because the pumpkin flavouring is very subtle, making it ideal for newbies. Let’s face it, not everyone likes the taste of pumpkin, especially when overwhelming, so the much milder taste here is certainly great for many people that aren’t crazy about the flavour but likes the odd seasonal coffee. What’s great about the McDonald’s Pumpkin Spice Latte is its sweetness. Many people love a sweeter taste to their coffee, making McDonald’s Pumpkin Spice Late a fine option for those with a sweet-tooth. The pumpkin aftertaste is still prominent, with light notes of spice and cinnamon, while the coffee flavour itself is subtle. If you love a sweet coffee that isn’t overly bitter and want to get something pumpkin flavoured, then this is the one to go for. One of the most interesting aspects about Caribou Coffee’s pumpkin pie latte is that it’s available both iced and hot. The combination of spices works really with this latte, especially the addition of grated nutmeg that really complements the pumpkin flavour. A slight variation available is the Pumpkin White Mocha. Rather than just steamed milk and espresso, this drink features a blend of chocolate (dark, white, or milk) with the milk, coffee, and pumpkin syrup, which is a much more decadent beverage but may be too sweet for some taste buds. Arguably the most famous Pumpkin Spice Latte available, Starbuck’s helped popularise the drink for a reason – they make an exceptional beverage! The real difference maker with Starbucks’ Pumpkin Spice Latte is how flavourful the pumpkin is. Rather than an artificial syrup taste found in many of their competitors’ drinks, Starbucks have produced a pumpkin flavour that tastes more akin to pumpkin puree used to make pumpkin pie. Plus, they’ve nailed spice combination down to a tee. The blend of cinnamon, nutmeg, and clove is simply wonderful, with the clove leaving a hearty aftertaste that embodies the autumn beverage.